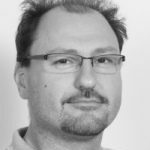 Professor Lionel Claude Briand recently took a new position as scientific director of the newly founded software verification and validation laboratory, within the interdisciplinary center for ICT security, reliability, and trust (SnT), at the University of Luxembourg. This new laboratory is supported by a PEARL grant from the Luxembourg research council (FNR). Until January 2012, Briand was heading the Certus software verification and validation center at Simula Research Laboratory (Oslo, Norway), where he was leading and conducting research in close collaboration with industrial partners. Before that, he was on the faculty of the department of Systems and Computer Engineering, Carleton University, Ottawa, Canada, where he was full professor and held the Canada Research Chair (Tier I) in Software Quality Engineering. Briand has also been the first software quality engineering department head at the Fraunhofer Institute for Experimental Software Engineering, Germany, and worked as a research scientist for the Software Engineering Laboratory, a consortium of the NASA Goddard Space Flight Center, CSC, and the University of Maryland, USA. Briand has been on the program, steering, or organization committees of many international, IEEE and ACM conferences, and will be the program co-chair of ICSE 2014. He is the co-editor-in-chief of Empirical Software Engineering (Springer) and is a member of the editorial boards of Systems and Software Modeling (Springer) and Software Testing, Verification, and Reliability (Wiley). He was on the board of IEEE Transactions on Software Engineering from 2000 to 2004. Briand was elevated to the grade of IEEE Fellow for his work on the testing of object-oriented systems.